Praised by the New York Times as a “rich-toned alto who brought a measure of depth to her performance”, Melissa Attebury appears regularly as soloist in concert and oratorio. She is in particular demand for her skill in music of the Baroque – recent appearances include Messiah, Christmas Oratorio, St. Matthew and St. John Passion, and as a regular soloist in the Bach at One series of complete cantatas with Julian Wachner and the Choir of Trinity Wall Street. She played the role of the Witch in Trinity’s staged production of Händel’s Saul. Other recent performances include the Rachmaninoff Vespers and Rosalia (West Side Story Concert Suites) with Alan Gilbert and the New York Philharmonic at Carnegie Hall; Elijah at the Berkshire Choral Festival, Israel in Egypt with The Washington Chorus, Beethoven 9th Symphony at Trinity Wall Street, and Messiah at Carnegie Hall with the New Jersey Masterworks Chorus. Operatic rôles include Carmen, Dorabella (Cosi fan tutte), Lelia (Iolanthe), Blanche (Dialogues of the Carmelites), Cherubino (Le nozze di Figaro), Phoebe (Yeomen of the Guard), Lisa (The Grand Duke), Melissa (Princess Ida), Pitti-Sing (Mikado) Kate (Pirates of Penzance), Stephano (Romeo et Juliette), Orlovsky (Die Fledermaus), Giovanna (Rigoletto) and Nellie (South Pacific). A specialist in the operettas of Gilbert and Sullivan, she has been hailed as “appealing both vocally and comedically” (Kansas City Star) for her work in this genre. Critics have called her mezzo-soprano voice “lustrous, sumptuous” (Theater Scene); her rendition of the role of Lisa in The Grand Duke was “exquisitely sung, garnering one of the biggest hands of the evening” (Forbes). Ms. Attebury is a featured soloist on the Grammy-nominated Israel in Egypt with the Choir of Trinity Wall Street, Ralf Yusuf Gawlick’s Missa Gentis Humanae for 8 voices, Julian Wachner’s Symphony No. 1, and a new release of the choral works of Trevor Weston. A skilled ensemble musician, she appears on Julia Wolfe’s 2015 Pulitzer Prize-winning work Anthracite Fields, recorded with Bang on a Can All-Stars as well as Trinity’s Bach Motets. 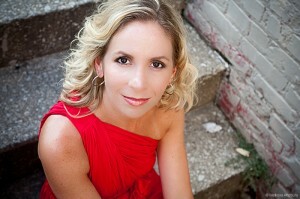 Melissa is the Associate Director of Music at Trinity Wall Street and on the faculty of the Berkshire Choral Festival. She manages Trinity’s music outreach program in the public schools, serving over 250 school age children. Also at Trinity, she created and directs the chorister program; her choristers make their recorded debut on The Snow Lay on the Ground, carol settings of Julian Wachner, and on the Trevor Weston works. She has conducted performances of the choristers with Josh Grobin, in the film Love is Strange, and many events at Trinity Wall Street.